Telescopes enable man to scour the skies at night for signs of extra terrestrial life. TELESCOPES - It's all very well pointing a telescope at the sky, but you try to pinpoint a speck in space without some form of calibration. Copyright © Lime Park Heritage Trust February 21 2016, all rights reserved. You will need permission from the Trust to use this photograph except for private study or research, or for scientific or other research. These permissions are automatic, so there is no need to ask. 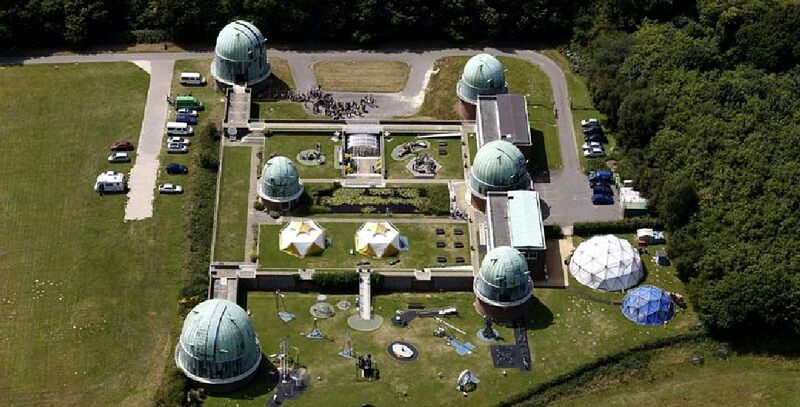 Built on the Greenwich Meridian, the telescopes in the grounds of Herstmonceux castle comprise of five large copper domes, that protect the delicate lenses of the extremely expensive instruments that they house. Fascinating though they are to those interested is science generally, once you have seen one large telescope visitors tend to lose interest. THE LAYOUT - In this picture we see five domes all of different sizes. In an attempt to try and relieve the boredom for tourists, a number of science games and objects have been introduced, together with two geodesic domes that house projectors to provide a makeshift planetarium. To some extent this works, but we cannot help feel that the focus should be on the telescopes themselves. 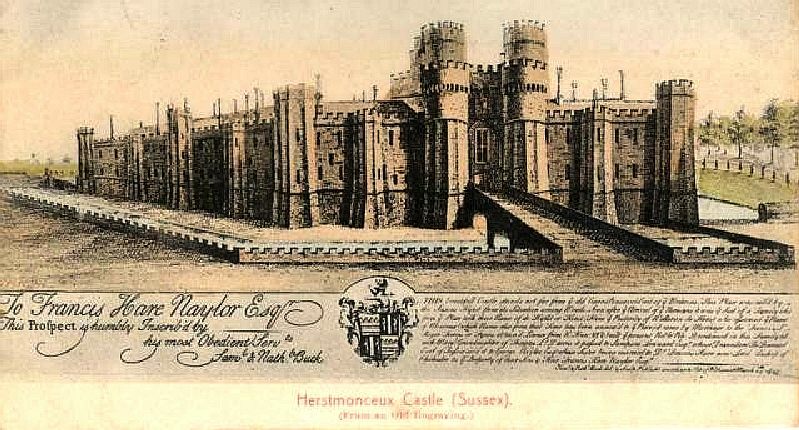 BRICK BUILT - Stunning in its proportions, it must have represented a nightmare to the brick layers that helped to build one of largest clay based castles in the United Kingdom. VARIABLE HEIGHT - Instead of the telescopes moving, the floor of these domes moves up so that scientists can reach the viewfinders and stare into space. NAME PLATE - The names on this telescope are Sir Howard Grubb, from Dublin dated 1896 and Parsons, who must have been a partner or associate. This picture is Copyright © Lime Park Heritage Trust February 21 2016, all rights reserved. You will need permission from the Trust to use this photograph except for private study or research, or for scientific or other research. These permissions are automatic, so there is no need to ask. COUNTERBALANCED - These giant instruments are so finely balanced that a small child can move them with one hand. Telescopes relied on glass or other mirrored and highly reflective metals. Copyright © Lime Park Heritage Trust February 21 2016, all rights reserved. You will need permission from the Trust to use this photograph except for private study or research, or for scientific or other research. These permissions are automatic, so there is no need to ask. SUNRISE - The sun burns the morning mist from the moat. In reality this moat is more of a small lake. VISITOR CENTRE - Once through the entrance you can make you way along this path to the main building and try out some of the exhibits.